For almost 6 months, the question “should we launch a crowdfunding campaign?” swirled with violent uncertainty around my head. 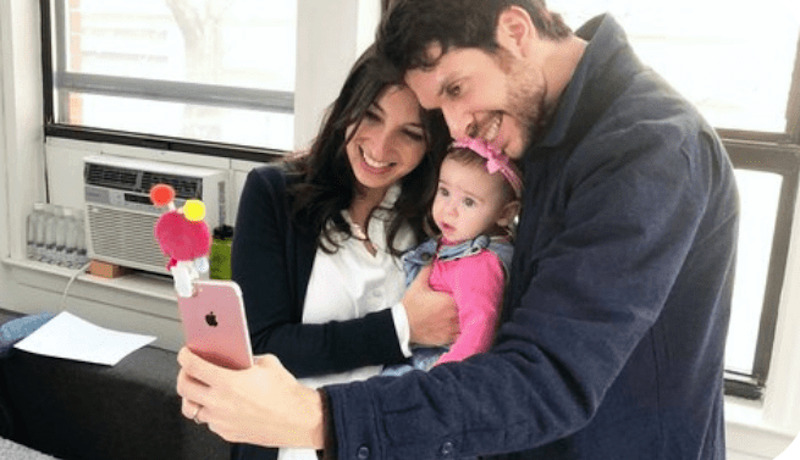 We had just started Lookalu, a smartphone gadget that helps parents easily snap the cutest baby photos, and we needed to figure out the most efficient way to validate our idea and bring it to life. We had months until our product would hit production and weren’t sure exactly how to find the capital necessary to fund that elusive first manufacturing run. So, like any good entrepreneur who pretends to know what to do but doesn’t really, I took to Google. I was barraged with articles about successful crowdfunding campaigns that raised millions from backers across the world and case studies of agencies that helped their clients exceed their goals by 1000%. I got sucked in fast. On the one hand, the starry-eyed side of me thought we could raise six figures in a blow out campaign that would have all the major press outlets buzzing (I saw Lookau’s name written in bright, shiny lights across the likes of TechCrunch, Buzzfeed, and Forbes). I envisioned thousands of backers humming in the comments section of our crowdfunding page, touting our invention as the greatest new parent product to hit the market since Sophie the Giraffe. I couldn’t wait to get started. On the other hand, the rational, pragmatic side of me painted a slightly more cynical scene. From reading countless articles and talking to friends who had undergone the process, I knew that it would be a full time job to launch and manage the campaign – photo and video shoots, designing the perfect crowdfunding page, harassing my networks, abusing my personal social media feeds, launching & maintaining social ads and much more. Spoiler alert: We raised $18,000 (180% of our initial goal) from just under 300 backers around the world. Was this enough to set crowdfunding records and create a massive viral buzz? Certainly not. But we were pleased – after all, we did surpass our goal and raised enough capital to help us get Lookalu off the ground. I wrote up a list of 5 things I wish I knew before launching Lookalu’s crowdfunding campaign. I hope it helps you either make your own “go, no go” decision or at least gives you some more context as you prepare for your crowdfunding journey. Ego check! Unless you get lucky and/or have either a massive email list to start, a huge budget or an extremely high product price, don’t expect to blow your goal out of the water. It doesn’t mean you can’t be successful without those things – we were and you can be too. But, are you going to raise hundreds of thousands or millions? Probably not. Let’s do a little math experiment. Our product price was $13, and our average perk price was about $30. To raise $100,000 (somehow the number I attached to “success”) and taking the average perk price purchased, we would have needed 3,333 backers. That’s a ton of backers! Even with a thousand backers, which is fantastic, we would have only raised just over $30,000. Do the math for your product and construct realistic best and worst case scenarios. It’ll help set proper expectations. The type of product matters a lot. People may not be willing to wait months before receiving your product. After doing some research and talking to our target customers, we realized people loved our product and wanted to buy it! But, some didn’t want to wait months before getting one for their (or their friend’s) baby. We get it – babies change super fast, and parents wanted Lookalu ASAP to capture those cute moments. We were lucky to have enough backers who were willing to wait, but crowdfunding isn’t for everyone and every product. There are other ways to get to market and raise money. Make sure that your product is a good fit for crowdfunding before starting to plan your campaign. Spend a lot of time on your page design and story. This is another obvious one, but your crowdfunding page becomes your main website during the campaign. It is the primary way someone interested in your product is going to learn about it, the company and you. We started filming the videos and taking product shots with our only prototype 2 months before launching the campaign. It takes time to craft the story, design the page, get feedback and make edits. Budget about 3 months for this process. It’s time intensive but will yield a clean, cohesive story that will resonate with your target customers. And, you’ll be able to leverage all this hard work when your campaign ends and you’re ready to start selling for real. You’re going to need every last bit of your social capital. I hate asking people for stuff. But to be successful (again, unless you have a massive budget or existing customer email list), you need to reach deep into your personal networks and get everyone excited to help you reach your funding goal. We sent an email to 300 close friends and family a month before the campaign to explain why we were launching on Indiegogo and then followed up with them a week before we launched, as well as on launch morning. I also sent personal texts to everyone I felt comfortable texting with the Indiegogo link. And to top it off, we threw a launch event on launch night to encourage people to preorder and share with their networks on social media. It isn’t enough that your core network contributes money – you need them to share with their friends and family so you capitalize on the full network effects. You need to hit around 30-40% of your funding goal in the first 36-48 hours for the platform algorithms to view your campaign favorably (you’ll then rank higher in search and the discover, explore and featured sections). Run pre-launch Facebook ads to test your creative and messaging. The ad should drive to a landing page to collect email addresses and build your pre-launch email list. Consider a giveaway of your product to a couple lucky winners to encourage people to give you their email addresses. Reach out to press, journalists and influencers in your space and send them free samples of your product (we didn’t have samples to give out due to manufacturing constraints, which hurt us big time). If they can’t feel it and use it, they probably won’t write about it. Sometimes asking for an interview or doing a video chat with your product is enough. And even if they won’t cover your crowdfunding campaign, stay in touch with those contacts and make sure you get them a few samples once your first production run is complete. Send a well written and compelling press release through PR Newswire at launch. Follow up with journalists and influencers and let them know the campaign is live. Continue to follow up with them and encourage them to post throughout the campaign’s duration. Launch and optimize Facebook ads. You should have a decent idea of what is performing well from your pre-launch campaign. Continue to improve your creative and messaging and monitor spend. There are tons of resources out there on how to launch Facebook campaigns on your own. In general, you should spend about 10% of your internal funding goal on Facebook and social ads. Our internal goal was $20,000, so we budgeted $2,000 on Facebook ads. I recognize that every entrepreneur, campaign and product is different, and by no means do I think the list above is relevant for everyone. But I personally would have been better off having read and internalized these points before launching our campaign. I hope our story and this additional knowledge helps you do what’s right for your business.